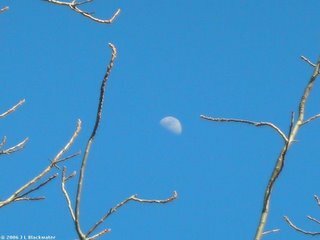 The moon is just past half full, and the vernal equinox is a mere two weeks away! I can't wait to learn what these trees look like with their leaves on. Tomorrow, I'll have some fun things to share with you from my explorations this evening among the hedges. This would be a great night shot with clouds, the purple clouds rolling in before a pitch black sky and right there, the moon bright and beutiful. 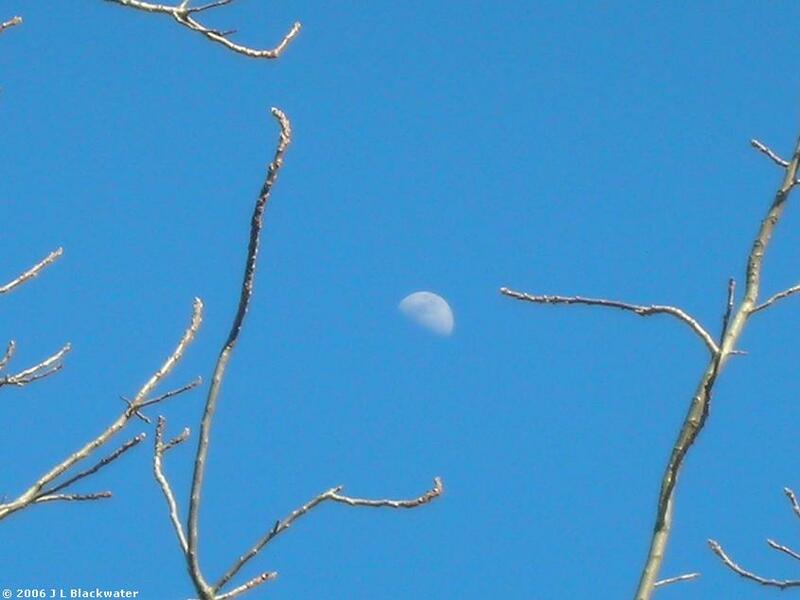 ooh, love these moon/trees...a perfect combination. I would agree with ducklover, but you did an awesome job of setting up the shot. The moon is perfectly framed and despite the branches in the foreground, you have made the spectacular moon the focal point of a dazzling picture. Frankengirl, I love the autumn and winter, but I admit that this year, I'm pretty darn excited about spring! Ducklover, I couldn't agree more... the trouble is, every time I try night shots of the moon, they come out blurry. I'm going to keep tinkering with my camera to see if I can get some nice ones for you! Greetings Tai, I'm so glad you're enjoying the show! Karen, thank you! I never get tired of lacing the moon in the trees in my pictures. Moon and trees fit together like tea and honey! 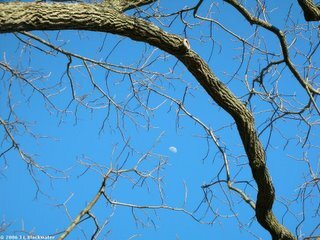 I like the way the branch curves across the picture and frames the moon. I've noticed that when I take pictures of the moon, if there's any haze in the sky they turn out blurry, even with a tripod.